Hey there. When I was in middle school (let's go Edison EAGLES!) I was introduced to a lot of extra curricular activities. There was the ROTC team, music, running, basketball... It's one of those times in your life where you decide which path to take. I could have done the sports thing. I love sports and it would have been great to jump into that, but as many of you know, my love was invested in music. 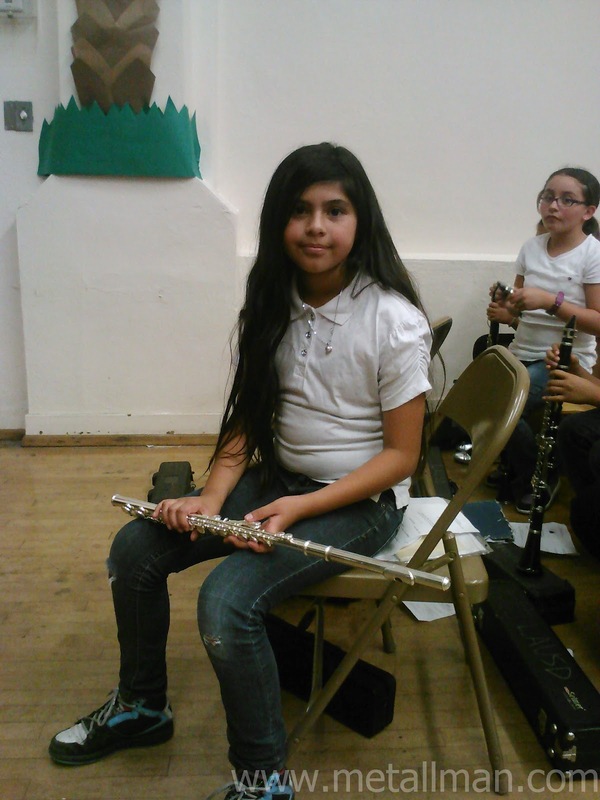 I went the musical route and devoted my middle school life to that. Yes, my friends. I was a band geek. But that doesn't mean I didn't participate in sports activities in school. I also did some running for the school and did a few relay races and mile runs. Nothing too fancy, mind you, but it was done. With all things considered, it's pretty awesome to see that the kids are following suit. Check it out. The boy in his first cross country run (The Long Beach Middle School Cross Country Championship) and my oldest daughter in her first orchestra recital. Now, I've never been one to push the kids in anything. I figured that they would choose their own path the way I did. The boy is pretty tall and very athletic so I was hoping that he would start to show interest in sports. Like many kids his age, he's happy killing zombies in Black Ops or performing tomahawk bank shot kills. My daughter seems to have developed an interest in the arts. She loves to draw and seems genuinely interested in music. I've always drawn stuff here and there and hand them out to the kids. I also grab my guitar, or flute, and play some tunes in the hopes that one of the kids would be intrigued enough to say, "Hey! I wanna do that!" So far, it looks like 2 of them did and a third is beginning to show interest. I can't wait to see how far they'll go. Later!